Following the mid 19th Century labour shortage in South America, approximately 91,000 Chinese immigrants were brought to Peru to work on the sugar plantations and mines. Typically hailing from China’s Guandong region, the settlers arrived with few material possessions, though most brought memories of recipes and ingredients such as ginger, soy sauce and spring onions. Maintaining traditional Chinese cooking methods, these ingredients would be teamed with adopted local ingredients such as Amazonian pineapples or Andean potatoes, ultimately used to create a whole new cross-pollination of cuisines which would become known as Chifa. Originating from the Mandarin ‘chi-fan’, meaning ‘to eat rice’, Chifa restaurants were eventually opened throughout Lima during the 1920s, giving severely exploited workers an opportunity to profit from the public’s growing interest in Eastern culture. As Peru’s Chinese immigrants began to progress economically, a number of Chinese vegetables were planted in Peru, using seeds imported from China. Serving a style of Cantonese Chinese food prepared with South American ingredients, the style has become one of Peru’s most popular, with thousands of Chifa restaurants operating across Lima and throughout the country. 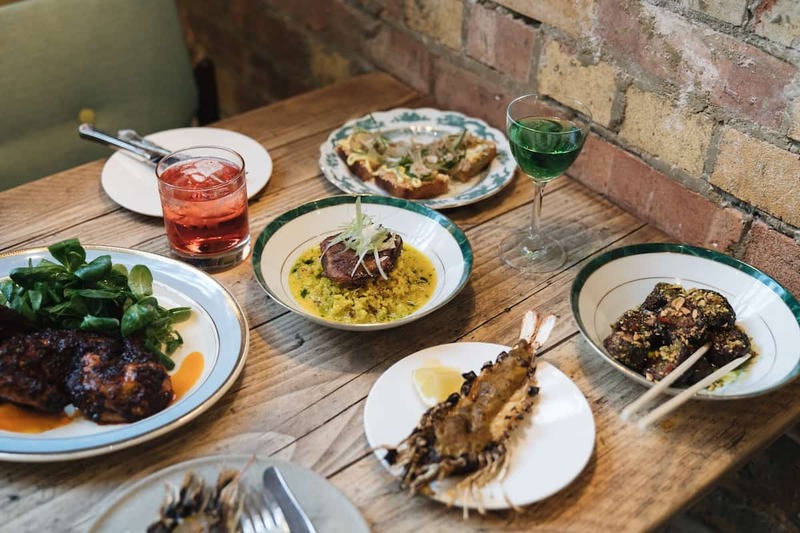 Launched at the end of last year, Pachamama East is the third Peruvian-inspired restaurant from the Pachamama Group, joining Pachamama Central in Marylebone and Chicama in Chelsea. 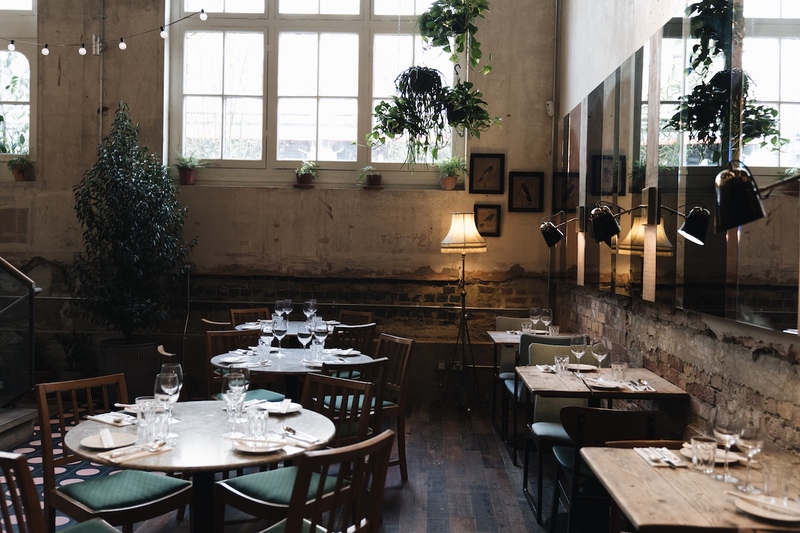 Occupying an airy space on Shoreditch’s Great Eastern Street, rife with pastel shades, exposed brick work and a jungle of houseplants, Pachamama East has launched a new Chifa-inspired menu with the arrival of the group’s new Executive Chef, John Javier. Born in the Philippines, the chef was raised in Sydney, Australia, where he developed a passion for food from his father, who owned a small catering company. Javier began his restaurant career staging in Noma, Copenhagen, before working at Quay and Momofuku Seiobo, later opening his own restaurant, MASTER, in Sydney, before going on to launch Happy Paradise in Hong Kong. The chef has spent the last few years developing Chifa dishes and techniques, drawing inspiration from his Asian heritage and international training. With a menu comprised of small plates divided by ‘Soil’, ‘Sea’ and ‘Land’, a lunchtime offer also serves a pick-and-mix selection of dishes for £7 each. Moreover, a tasting menu is available at lunch and dinner, priced at £35 or £45, respectively. Menu highlights include dishes such as roasted Brussel sprouts lashed with a pungent soy vinaigrette, enlivened by a pinch of shredded mint (£8); gloriously insalubrious prawn toast (£9) with a generous blizzard of sesame seeds and bonito flakes; miso-cured carrots (£10.50) with a fair amount of bite and outstanding depth of flavour, joined by black quinoa and kimchi; and sweet caramelised aubergine (£9) cooked to the point of structural submission, contrasted by the crunch of peanuts, with a drizzle of coriander oil restoring balance. Sea bass ceviche (£10) features slivers of unmistakably fresh fish which lull in a pool of tiger’s milk spiked with soy, elevated even further by sesame seeds and a sheet of nori, while ‘Duck on Rice’ (£14) features a slow-cooked breast which melts in the mouth, served atop a bed of fried rice lashed with a sunshine yellow sauce. Desserts are similarly interesting, with a signature dish of sorts, ‘A roasted potato’, featuring potato ice cream that’s deep-fried then rolled in olive oil and a cookie crumb. A interesting conclusion to Pachamama East’s inspired new Chifa-inspired menu that’s available now and set to evolve over the coming months. Just don’t call it fusion. Pachamama East can be found at ​73 Great Eastern Street, London, EC2A 3HR.